It’s 40 minutes into an employee’s shift and he’s nowhere to be found. Worse yet, you haven’t heard from him about coming in late or having a problem. It looks as if you have an unexcused absence on your hands. When an employee violates your “no-call/no-show” procedures without a reasonable explanation (such as an emergency preventing him from contacting you), you should promptly discuss the issue with the employee and if it’s a pattern, complete a formal warning notice. 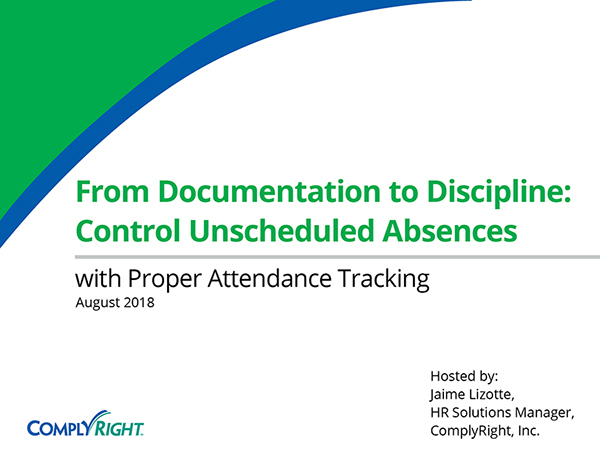 To avoid conflict and cries of “unfair,” it’s important that you enforce your attendance rules consistently. Beyond putting guidelines in writing, it’s about treating employees – and violations – similarly. Don’t reprimand an employee for abusing the company’s attendance policy when other employees have done the same thing without consequence. If you speak to Jim about being 10 minutes late every day, you need to speak to the frequently late Jane, too. It’s a smart idea to use a written warning notice to address unexcused absences. It allows you to formally document the problem, while letting the employee know the consequences if the problem continues. Be specific and thorough in your write-up. For example, it is not enough to indicate that an employee is “excessively tardy.” Instead, the documentation should list every date the employee was late (and how late), the excuse provided and any other relevant details about each incident. 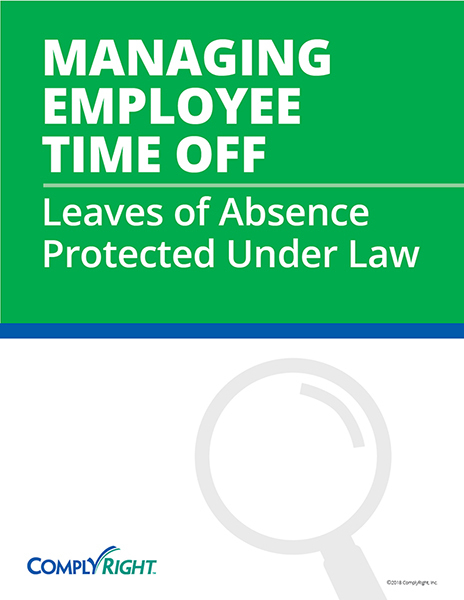 Don’t rely solely on your company’s time-off policy when determining whether to excuse an absence. There are several laws – from the Family and Medical Leave Act (FMLA) to the Americans with Disabilities Act (ADA) – that may kick in when an employee misses work. Employees may be entitled to paid or unpaid leave beyond what company policy allows. Ideally, your company policies should be reviewed by an attorney to make sure they are consistent with the laws applicable to your business. When the law conflicts with company policy, you must apply the provisions that are most beneficial to the employee. It’s important to be accurate when describing the facts leading up to discipline. Do not exaggerate or embellish. Avoid using absolutes such as “always” and “never,” unless you can substantiate it. For example, do not state that an employee “never arrives to work on time” if he has arrived on time at least once. Similarly, do not state that an employee has been warned “several times” if in fact he was warned only once or twice. Exaggerating, even if done innocently, may harm your credibility if you later are called upon to testify about your documentation or your employment decisions. When an employee violates your “no-call/no-show” procedures without a reasonable explanation, you should promptly discuss the issue with the employee and if it’s a pattern, complete a formal warning notice. Consider using a formal warning notice to address unexcused absences. A warning notice is a disciplinary write-up that can be used to address a performance problem, whether it involves a rule infraction or poor performance. It allows you to formally document the problem and to let the employee know what consequences will follow if the problem continues. As with other disciplinary documentation, it also helps you defend legal disputes by showing that all issues were documented and discussed — and that the employee was specifically warned of the consequences of not resolving the problem. Company policy typically dictates the appropriate disciplinary action for a particular offense. Examples of disciplinary actions include: verbal warning, written warning, final warning, suspension with or without pay, demotion, cut in pay, probation or termination. 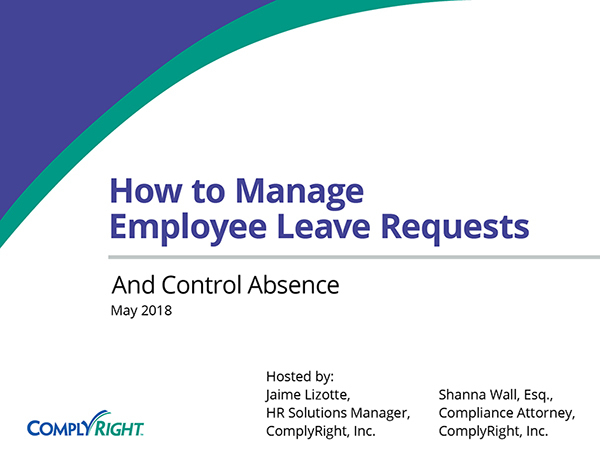 Remember, make sure your actions are consistent with written company standards on the issue (e.g., employee handbook policies indicating how many personal days are permitted or how tardiness is handled), as well as “past practice” (how management has handled similar situations in the past). If you do not have written policies on point, follow past practice and document any reasons for making exceptions. Never discipline an employee in anger. If necessary, step away from the situation and postpone meeting with the employee until your emotions are under control. Take time to consider all the facts and circumstances before making any adverse employment decision or confronting an employee; disciplinary decisions never should be made impulsively or hastily. The tone of a disciplinary meeting should not be adversarial. Keep your comments non-threatening and work-related. 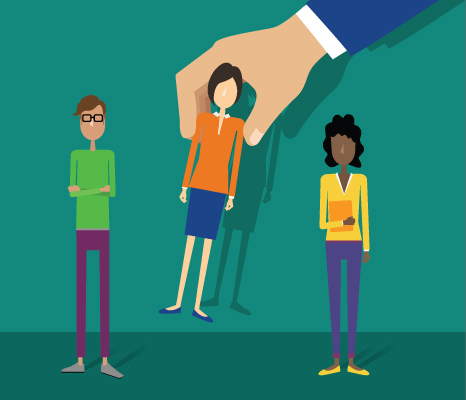 Stick to the facts when reviewing the employee’s pattern of absences and/or tardiness. Show the employee a report or chart showing the pattern or frequency of his/her absences or tardiness. Employees are often surprised to see how a few incidents here and there can add up, and the impact of seeing it on paper can be significant. Whenever you conduct a disciplinary meeting, you should create a formal write-up, such as a warning notice, absence report or termination notice. After reviewing the document with the employee, ask him/her to sign acknowledging that the document was presented and discussed. If an employee refuses to sign, ask another manager to witness that the document was presented to the employee, make a notation on the document stating that the employee refused to sign it, and have the other manager sign attesting to your statement. The original should be filed in the employee’s official personnel record.